Dame Fortune’s Wheel Tarot is a deck by Paul Huson. 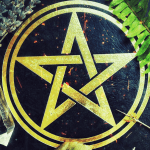 Most witches will already be familiar with Paul Huson and his work, being the author of the classic 1970 book on witchcraft, Mastering Witchcraft. 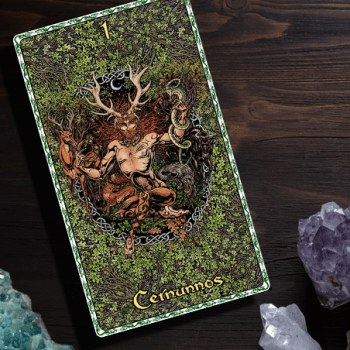 Paul Huson designed and illustrated this whole deck, which makes it extra awesome, since he’s a master occultist and tarot expert. 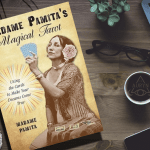 The deck itself is an interesting fusion of the classical symbolism of the Rider-Waite-Smith deck, the Etteilla deck and the Marseille deck. While Dame Fortune’s Wheel Tarot is coloroful, vivid, and beautiful, it’s not as shockingly bright as a lot of the pictures posted by Lo Scarabeo, which I actually find to be a great thing. That isn’t to say that the color or the imagery isn’t bold. It definitely is, and in the best way – it’s just not as brightly manic looking as you might think by looking at pictures online. 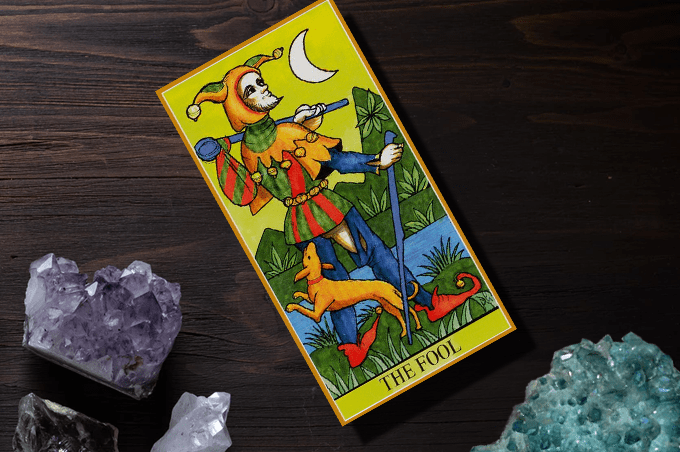 The cards are about the typical tarot deck size you’d expect from any Lo Scarabeo deck. 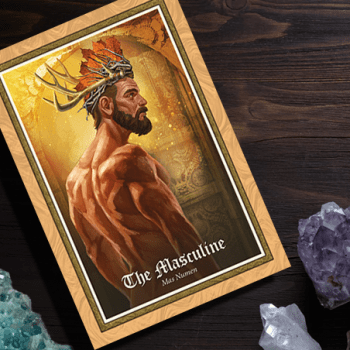 The card stock isn’t the worst I’ve seen, but it’s also not the best – which is a shame since the deck itself is fantastic, and considering who the creator / designer of this deck is. 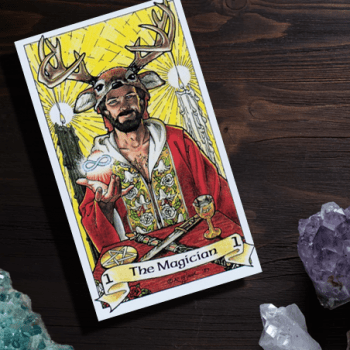 Instead of using the modern names for the The Magician, The Hierophant, The High Priestess, and Strength cards, Huson uses the older names of The Juggler, The Pope, The Female Pope, and Fortitude in Dame Fortune’s Wheel Tarot. The deck also includes a Significator card, which I don’t think I’ve actually ever seen a special card for in a deck before. 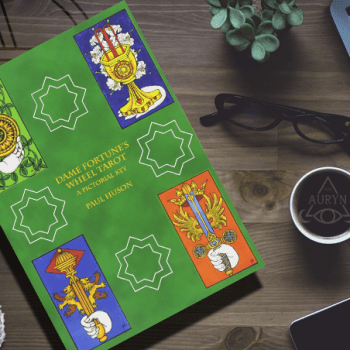 Paul Huson has also written a fantastic companion book for this deck, Dame Fortune’s Wheel Tarot: A Pictorial Key.